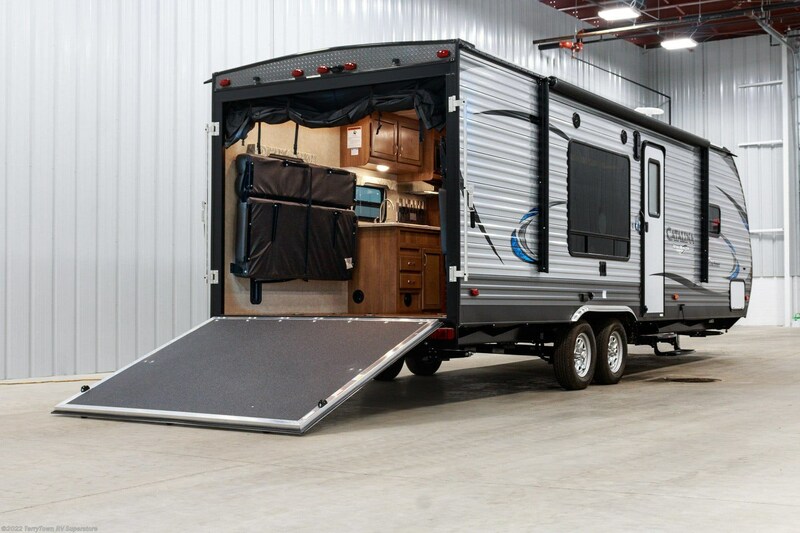 TerryTown RV has been selling all the top brand RVs at wholesale prices for over 40 years in Grand Rapids, Michigan and all across the state! 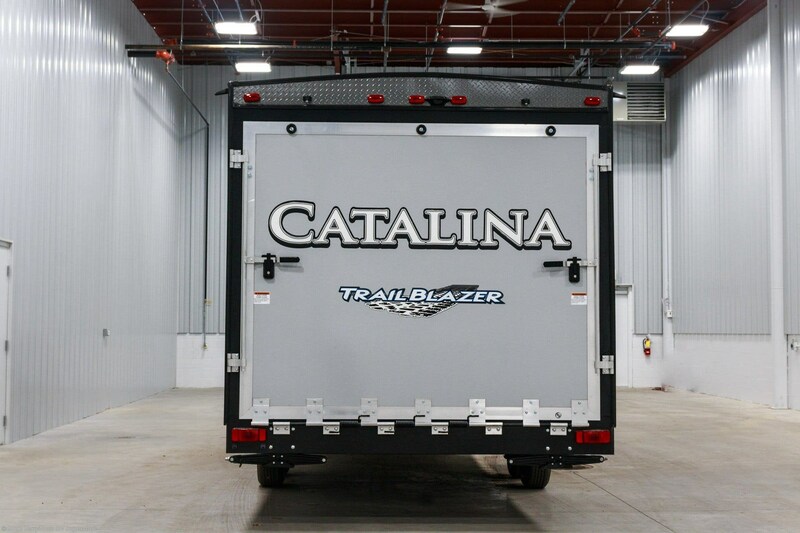 If you've got your heart set on the 2019 Coachmen Catalina Trail Blazer 26TH Travel Trailer Toy Hauler, then stop by and see us today at 7145 Division Ave S Grand Rapids Michigan 49548. 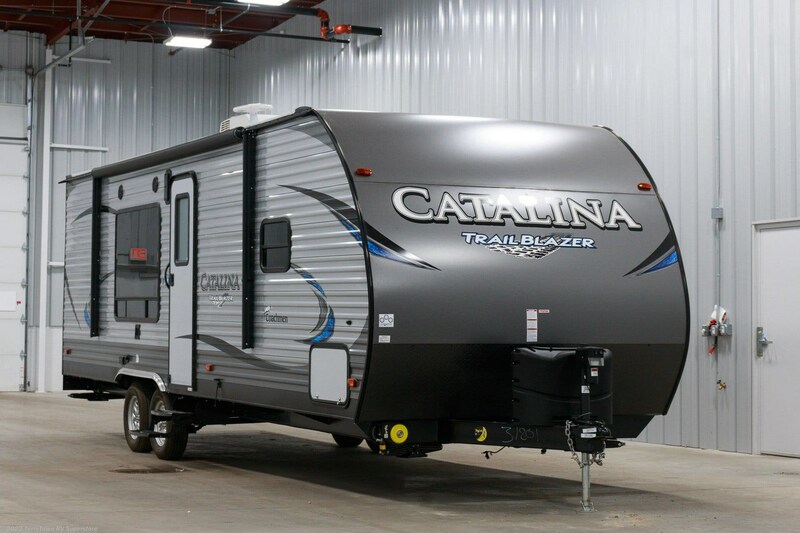 Our friendly knowledgeable staff will show you how you can own this great Travel Trailer Toy Hauler at an astonishingly low price, saving you $1000s! Don't live nearby? No worries! Check us out online, then call us at 616-455-5590! 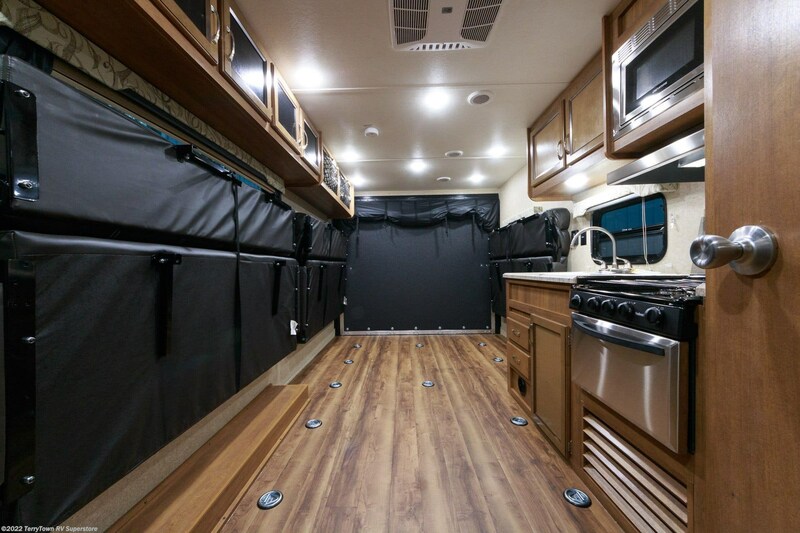 Your dream RV is about to become a reality! Place your camping chairs and picnic tables under the shade and protection of the 15' 0" awning! 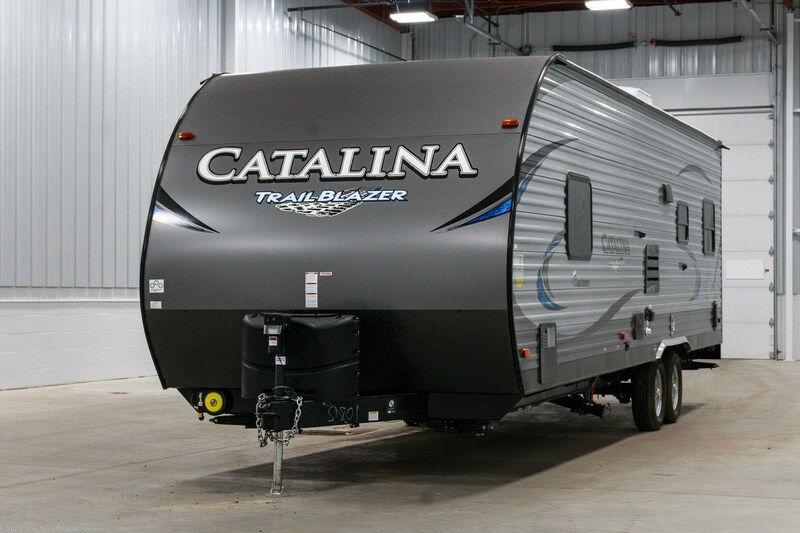 Traveling with this RV is no issue, with its hitch weight of 957 lbs. and GVWR of 7900 lbs. Don't feel cramped when you camp! 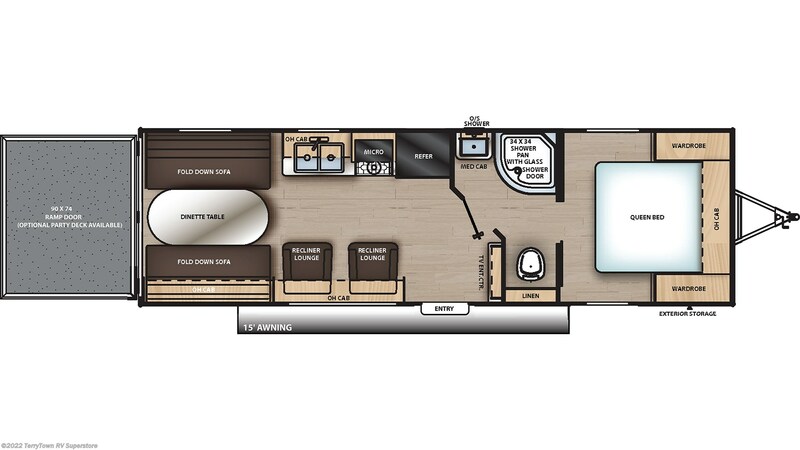 This 29' 10" long, 8' 0" wide RV provides ample room for the family! It's also 10' 7" high, so you can stand up without needing to slouch or crouch! 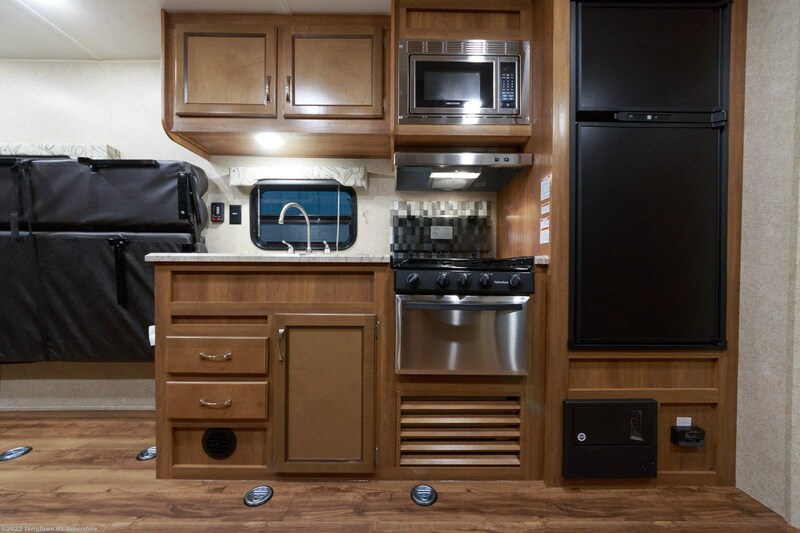 The interior keeps a stable, comfy temperature in any season, thanks to its 13500 BTU a/c unit and 30000 BTU furnace! 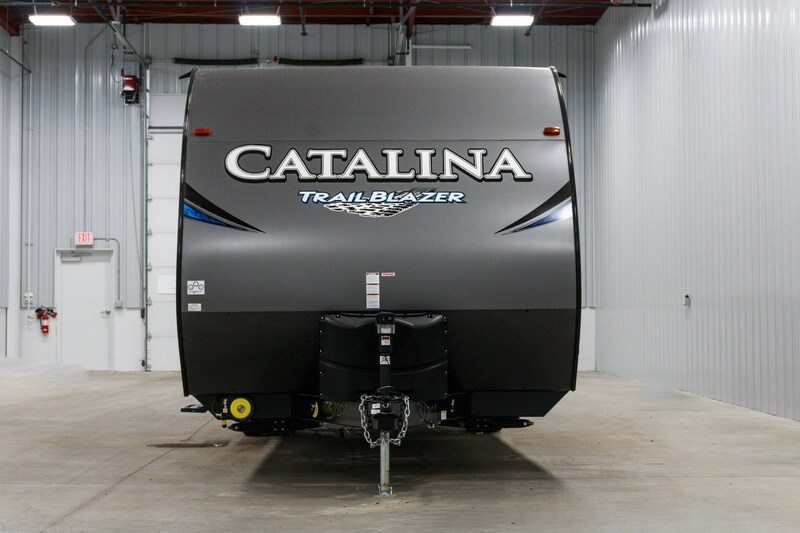 The lavish master bedroom is one of the high points of the 2019 Coachmen Catalina Trail Blazer 26TH with its regal Queen bed that you'll luxuriate in when it's time to go to sleep. 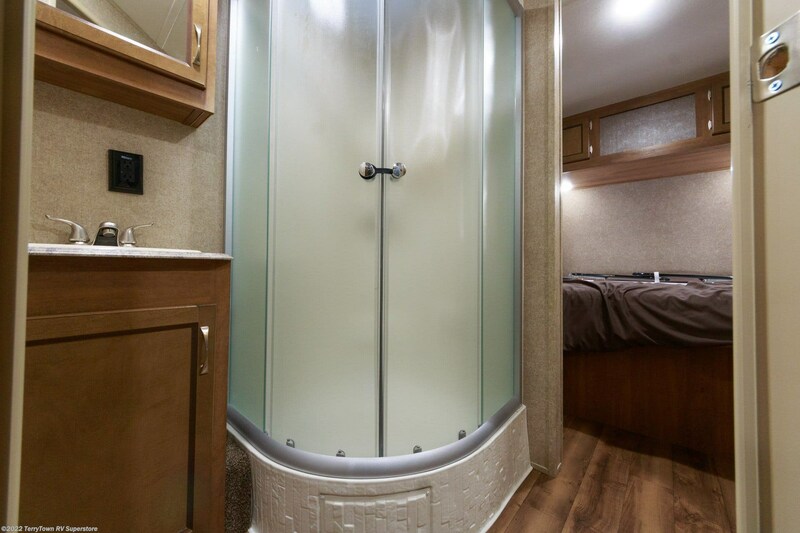 Comfort and privacy await! 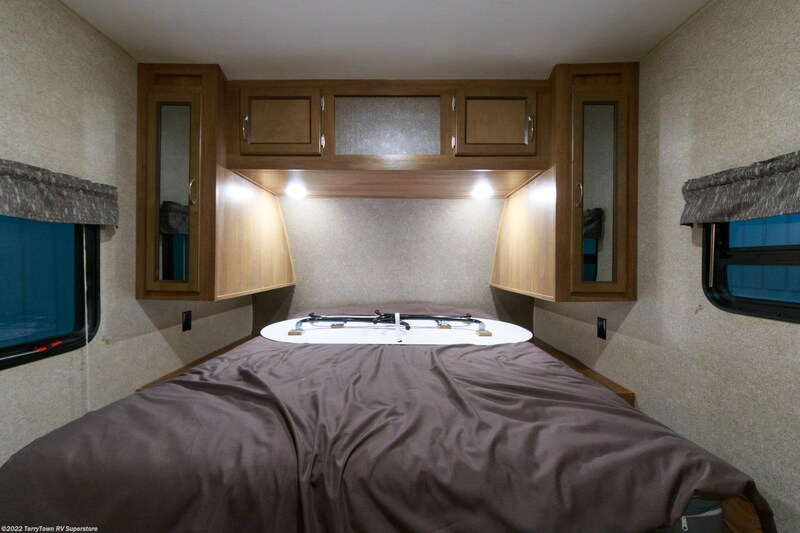 This comfy camper sleeps up to 4 people! 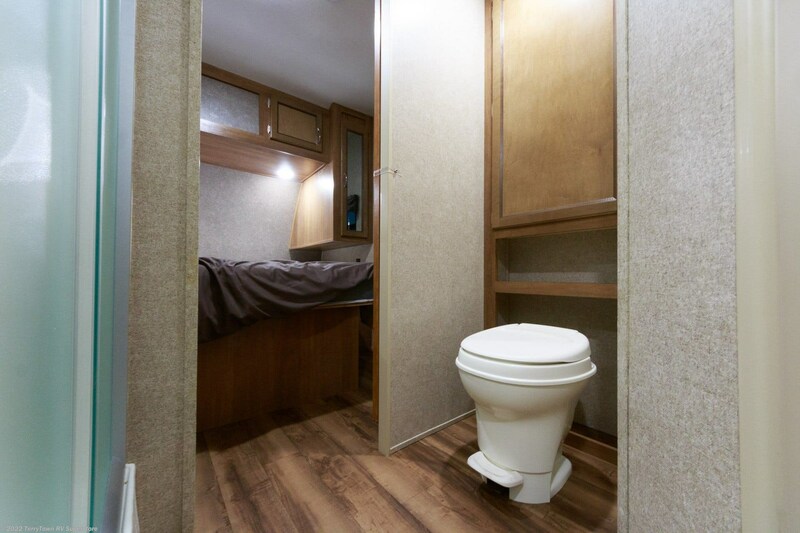 You'll have the convenience of a private shower and Foot Flush toilet anywhere you travel with this camper's full bathroom! There are 40 lbs. of LP tank capacity, so your showers can stay hotter for longer! You don't have to deal with your waste and used water while you're having camping fun, thanks to the 40 gallon gray water tank and the 30 gallon black water tank.andnbsp;Shipping your toys to the campground is nice and simple with this Toy Hauler! Haul toys and luggage inside the 11' 6" garage. 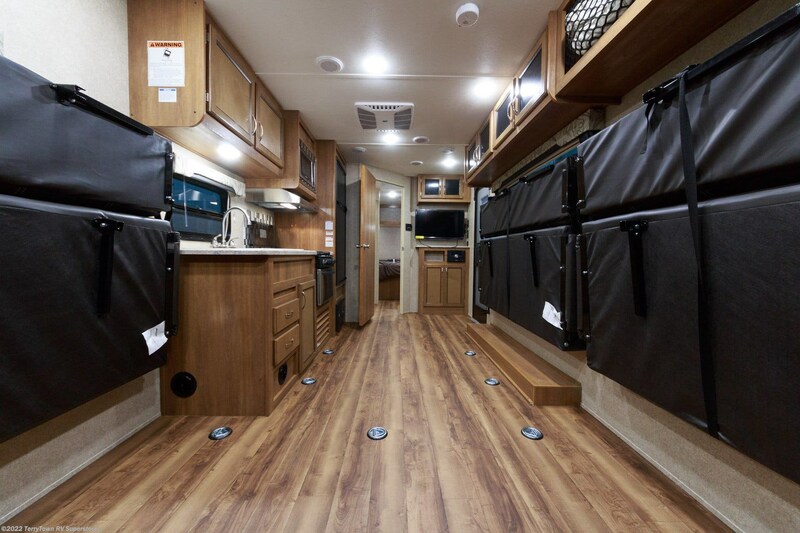 This RV has an impressive cargo capacity of 2413 lbs! 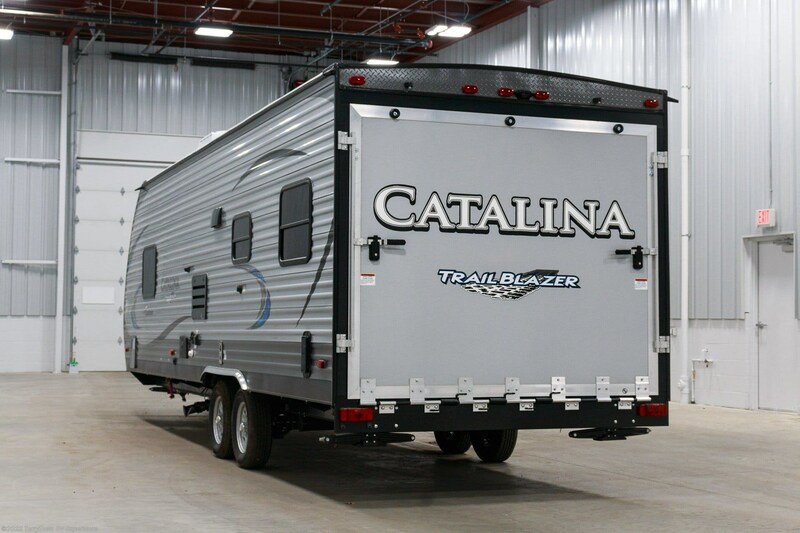 Check out Stock # 35105 - 2019 Coachmen Catalina Trail Blazer 26TH on coachmenrvsource.com!